The Kramer classic reborn! 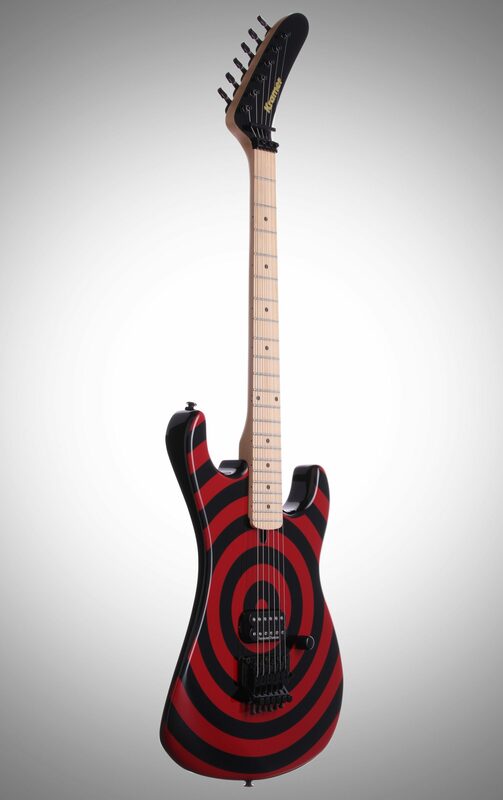 One of the most iconic guitars in history, the Kramer 84 Baretta is back! 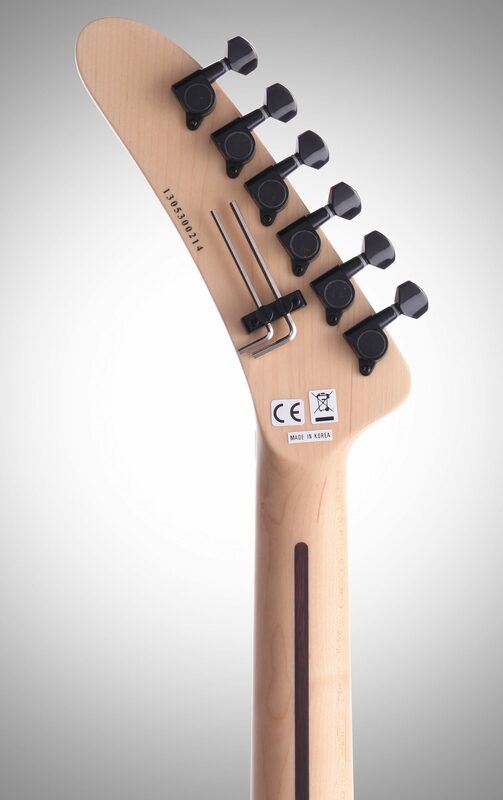 The Kramer 84 Baretta electric guitar's maple body and neck have been updated with accessible truss rod adjustment at the heel (No more taking the neck off like some of those other guys!). 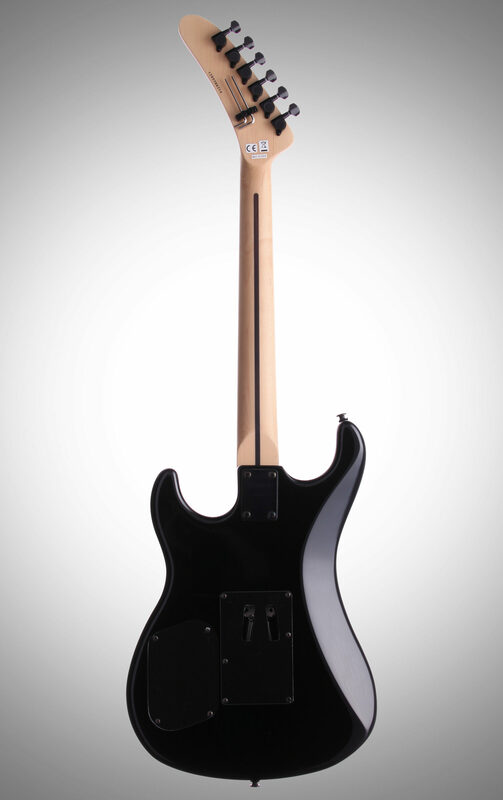 The Kramer 84 Baretta retains the 84's sought after profile and 22 fret, 12 inch radius neck. 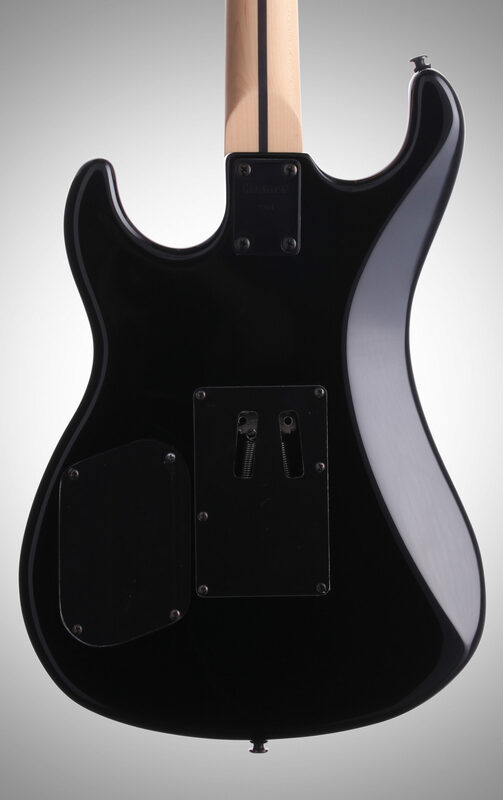 The single USA Seymour Duncan humbucker is 4 lead with series/parallel coil tapping on the push/pull volume control and features a .002mf capacitor volume bleed on its audio taper potentiometer. 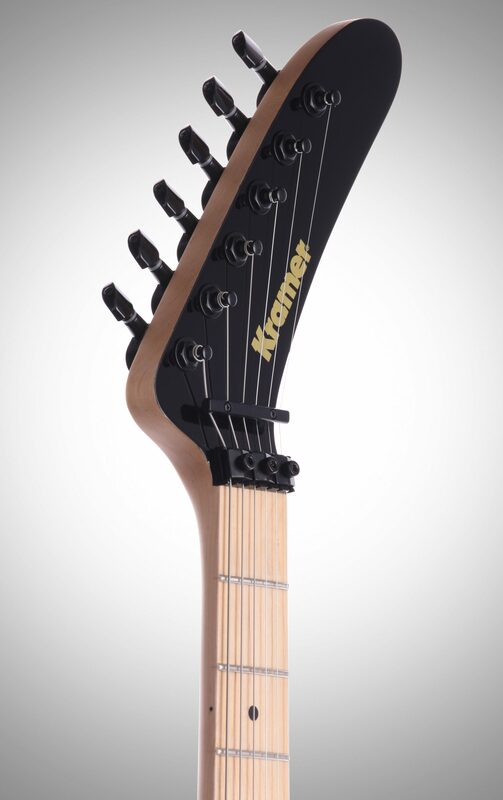 The Kramer 84 Baretta is loaded with the Floyd Rose locking system for excellent stability and dives with reliability that won't break the bank. 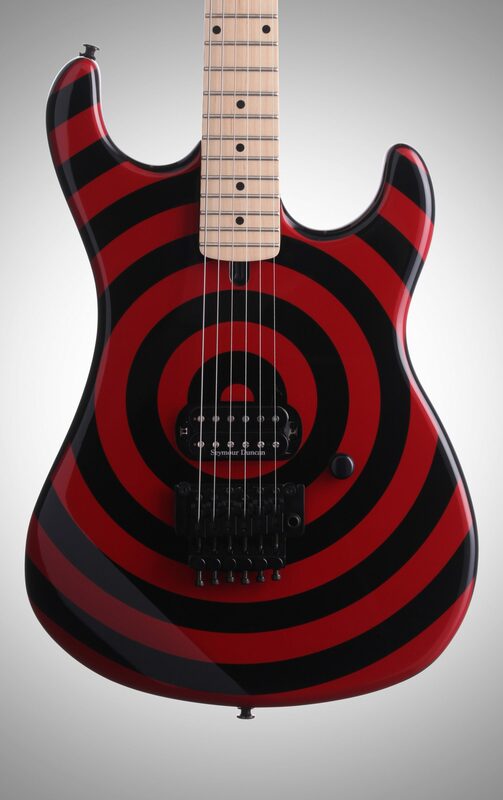 zZounds is an authorized dealer of Kramer Guitars products. Overall: I have several 80s-era Kramers and checked out this '84 model. It is far better than one of the other Kramer models I bought last year. better quality and better sound. nice feel to the neck. very good sound if you are into 80s high gain rock. the push=pull pot wired for parallel in a nice option when you dial it down a bit you can get some nice PAF-ish tones, making the guitar more versatile than it looks. prior to buying, I did call Gibson (who owns the Kramer name) and they were quite thorough in answering my questions. much better than some. the guitar feels solid and I have no reason to worry about the quality. 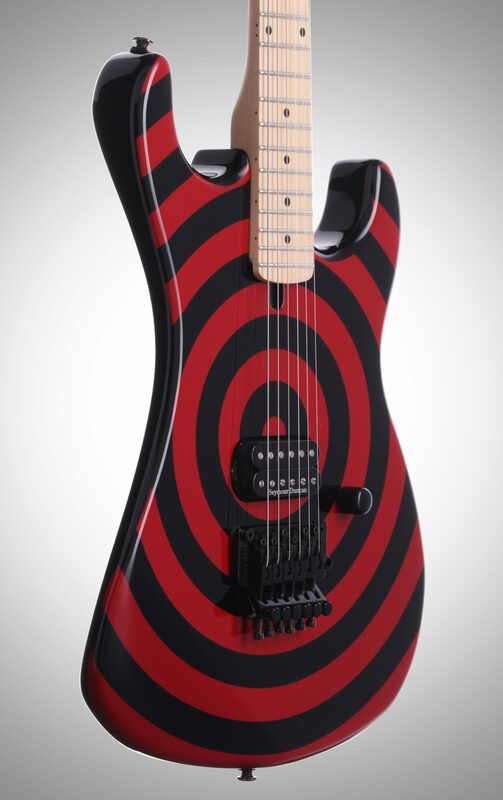 there are a lot of guitars out there priced for entry-level, but this is built much better than the price would suggest, especially considering that a new Kramer guitar similar to this in the 80s was going for over a thousand in 80s dollars. if there were any suggestions I could make to Gibson it would be to offer more colors, drop the cheesy bullseye graphics, and offer a case with the Kramer line of guitars. for anyone looking for an 80s-themed hot rod that really delivers, it's hard to go wrong especailly for this price. Overall: I wanted to make a 5150 replica and this was the best option for getting most of what I needed in a single purchase. The workmanship is similar to what you find in most Korean guitars or output from Fender's Ensenada facility. The I had to dress and polish the frets but most players would be satisfied with what came out of the box. The JB sounds close enough to the Custom Custom that Eddie used during the mid-80's and the ability to tap the coil was a bonus. When I sanded the body down, I was pleased to find solid wood instead of a plywood laminate that I expected. The neck profile feels like the Kramers I owned back in the day and real Floyd (another surprise, I had expected the licensed version) works as it should. The headstock looks oversized with the black paint and gold logo but when I got done with the red & white stripes it looks correct. All in all I am very happy with the purchase.